Tottenham boss Mauricio Pochettino gives his reaction to Sky Sports following the 3-2 win over Wolves. Tottenham boss Mauricio Pochettino slammed a lack of respect for Wolves as they came close to blowing a 3-0 lead at Molineux. 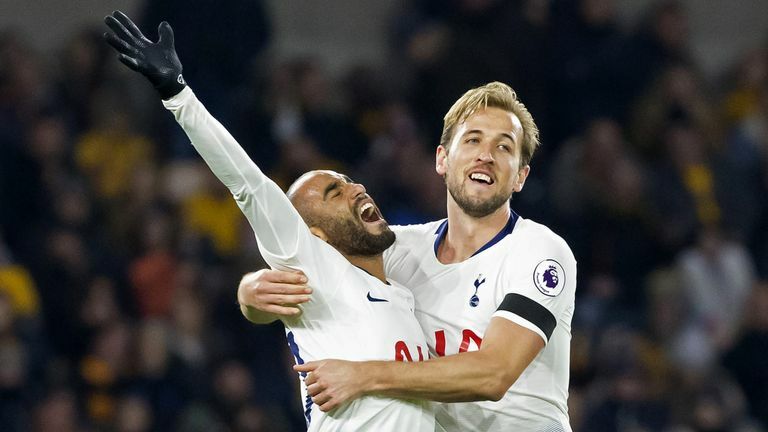 Having taken a seemingly unassailable advantage through goals from Erik Lamela, Lucas Moura and Harry Kane, Spurs gave Wolves a lifeline after Kieran Trippier attempted and failed to nutmeg Leo Bonatini inside his own half, and Juan Foyth conceded a penalty moments later. 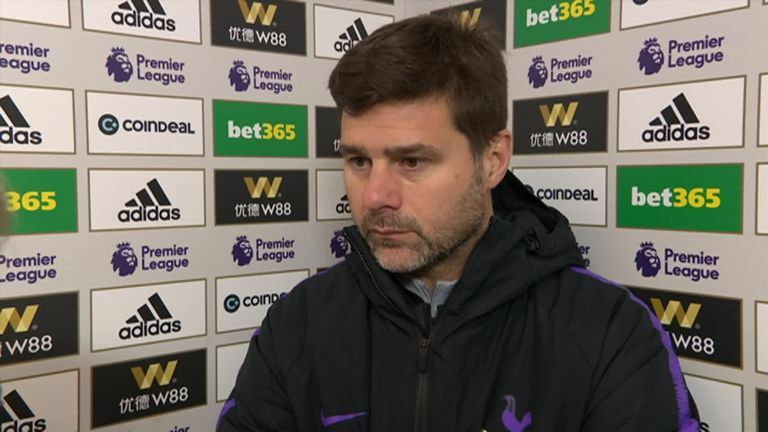 More poor Spurs defending gave the hosts more hope when Foyth brought down Jonny in the box, but Pochettino made clear which goal had annoyed him the most when speaking to Sky Sports after the game. "I think at 3-0 everyone believed the game was over," he said. "When you make a mistake, and need to take the game more seriously and not concede possession so cheaply, you put the game at risk. "That is what we need to be more careful of, and have more discipline. We need to have more control and play in a way that is respectful with the football. I was not so happy, I will have to see it again, but I am not happy." In contrast, Pochettino defended debutant Foyth, playing his first game in English league football more than a year after joining the club, despite conceding both spot kicks Wolves scored from. "I am happy with his performance, I thought it was very good," he said. "Sometimes when you are a defender, you can be involved in something like this, I was involved a few times giving away penalties as a player, and he will remember it on his debut but the most important thing was to get three points and it's something to learn for him."